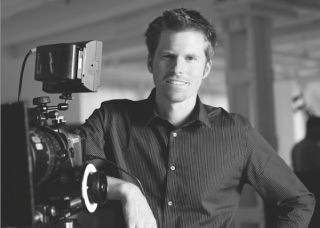 Saturday Night Live’s director of photography, Alex Buono, will be speaking live at the Discovery Center in Milwaukee on Tuesday, March 25. The evening will be hosted by Full Compass Systems, a professional audio, video, lighting and musical instrument retailer. Alex is known nationwide for sharing his stories of how he and his crew shoot their films for Saturday Night Live and the last minute production challenges that live television can create. Alex has worked as director of photography for Saturday Night Live for more than 10 years and currently writes, produces and shoots for his production company, Third Person. He has a long catalog of film credits including 2003’s Oscar Nominated short film Johnny Flynton. In addition to Alex’s presentation, top manufacturers of broadcast and production equipment will also showcase their products at the event. Exhibitors include Canon, AJA, ETC, Marshall Electronics, Petrol Bags, Sachtler, Sennheiser, Sound Devices, Tascam, Vinten, and Yamaha.